WOW. That is a nice looking gun. That’s pretty close to my perfect carry 1911. It just needs a 10-8 flat trigger and a completely black finish except the trigger. Tritium dot front, black 10-8 u-notch rear sights. Oh, and those look like slim grips. I don’t dig the slim grips on any 1911 except my Ranger. It needs slotted grip screws, all the more so now that the MSH pin is covered. It’ll need to be in 45 too. 10mm is great and all, but I’m completely invested in 45 for my self defense needs. So… when can I order one? Just needs black small parts. 10mm is best. Nice taste, Ogre! 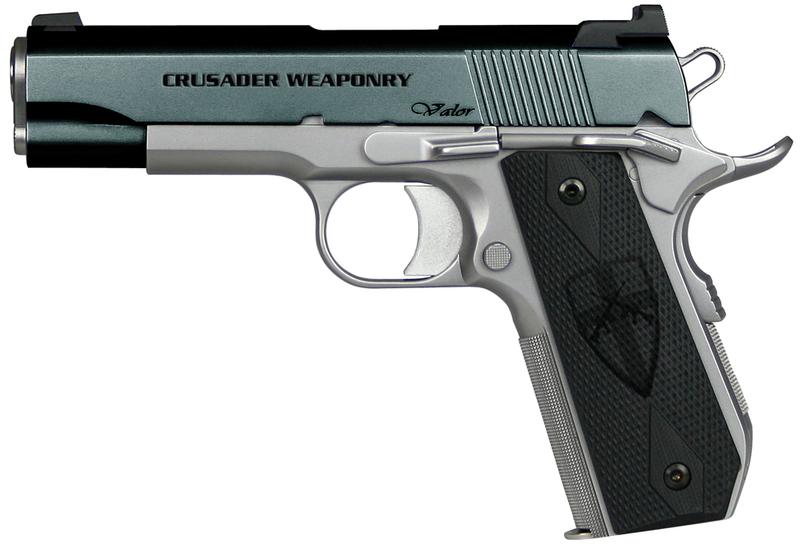 Put it on an officer’s sized frame, with XS sights (std dot 24’s), in a furrow a la STI,no V bob,with a mil spec grip safety, downsized. In 10mm. How much? Cause that’s what I want. Ah… thanks for that clarification… Because I was confused… The Disconcerting Shootist doesn’t read MadOgre after I banned him…. We’re working on pricing now… We really want to roll out these 1911’s. Sourcing only the very best parts… with a Master Gunsmith formerly of Wilson Combat doing hand fitting on everything. Yet we still want to deliver at a reasonable price. Reasonable being a relative term. We are not doing 449 ATI’s here. Only the absolute BEST. Once more: on an Officer’s frame, with XS std dot 24/7 sights, in a ‘sighting trough’ a la STI,milspec grip safety, ergo XT grips, no V bob,10mm of course. Let me know how much, so I can start saving my pennies, cause I’ll have to have it. I love the Ogre Edition, but I think you guys should also do a basic no-frills 1911 a-la the Colt M1991 and the Springfield Mil-Spec. The market for “entry-level” 1911s is kinda sparse, at least compared to “premium” and “high-end” 1911s a-la Wilson Combat and Ed Brown. 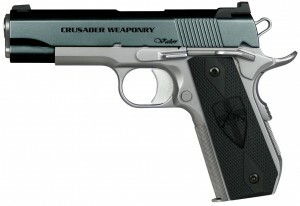 I am looking at starting with a Fusion 6″ 10mm long slide with the tactical rail, crimson trace grips (not that I need a laser to shoot good but they are just cool in my opinion), infinity AUTO TRI-GLIDE TRIGGER SYSTEM with the long curved trigger insert, smith and alexander ambi mag catch (im a lefty), wilson combat bulletproof concealment grip safety, novak tritium gost rear sight, , novak tritium front sight, ed brown snakeskin bobtail mainspring housing, wilson combat bulletproof slidestop, les baer ambi thumb safety, wilson combat group gripper guide rod and plug, titanium mainspring cap, titanium firing pin, titanium hammer strut, cylinder and slide ulta light hammer set, possibly duracoat finish, and of course perminant slipstreamed! That is the stuff I am thinking about, Still have to consult Joe to see what he thinks about it all. Should be a very nice 1911 when its done though. When can I get one of these? And how much? You can order one now. Price would be about the same as a Nighthawk Custom T3 right now.